On Tuesday June 18, 2013 at approximately 9:16 a.m. the Livingston Police Department responded to a local business located in the 1900 Block of North Washington Street, Livingston Texas. Officers were responding in reference to a black male who was threatening individuals with semi automatic hand gun. Officers with the Livingston Police Department arrived approximately one minute from being dispatched. Officers confronted suspect who was now standing in the parking lot. Officers then took the suspect into custody without incident recovering a semi automatic pistol at the scene. 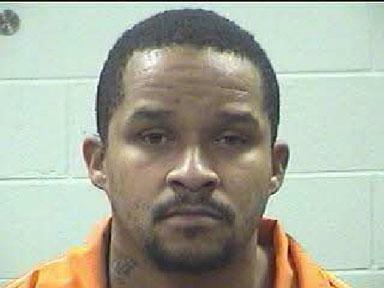 Suspect was identified as Franky Lee Horton 31 of Livingston. Upon further investigation Livingston Police Officers located a 12 gauge shot gun and other ammunition in the vehicle. No injuries were reported during the incident, and the scene was cleared by 10:00a.m.. The Livingston Police Department has charged Franky Lee Horton with five counts of Aggravated Assault With A Deadly Weapon Felony 2, and he is being held in the Polk County Jail. Officers and Detectives speak with a worker at the entrance of Elliot Electrical Supply in Livingston. Gunman Arrested After Making Threats at Business Establishment, LIVINGSTON, June 18, 2013 - At approximately 9:25 am on June 18, 2013, a gunman pulled up in the parking lot of Elliot Electrical Supply located on North Washington. The gunman was driving a Dodge pickup and has been identified as Franky Horton, 31, of Livingston. Horton allegedly entered Elliot Supply brandishing a semi-automatic pistol and threatening people. Someone called 911 and Livingston Police Department was on the scene in less than two minutes. Officers entered the building and Horton was disarmed and taken into custody without further incident. Officers Scott Paske, Kevin Ward, Kevin Blackburn, Seargeant Ronnie Bogany, Detective Marty Drake and Lieutenant Matt Parrish began an investigation. Officers and Detectives searched Horton's vehicle and found a loaded .12 gauge shotgun with extra shells attached. Detective Marty Drake is the lead investigator. According to Livingston PD spokesman, Lieutenant Parrish, Franky Horton is facing five counts of assault with a deadly weapon. Parrish stated to PolkCountyToday.com that the situation may have been a domestic and spilled over into a place of business. Horton allegedly has a relationship with one of the Elliot Supply workers. We will post further details on this story when they're made available. 31 year old Franky Horton of Livingston was taken into custody by Livingston PD without a struggle. Officer Kevin Ward speaks with Horton. Detective Marty Drake pulled a .12 gauge shotgun from Horton's Dodge pickup. Officer Scott Paske (left) and Lieutenant Matt Parrish converse as Horton looks on from the back of a patrol unit. Officer Scott Paske drives away from the scene with Horton secured in the back. Horton's vehicle was recovered by LakeView Towing. If you woud like to comment on this story, we'd love to hear from you. Be sure to specify which story. Your name will be posted with your comment in Letters to the Editor.